GET YOU SOME OF THIS! 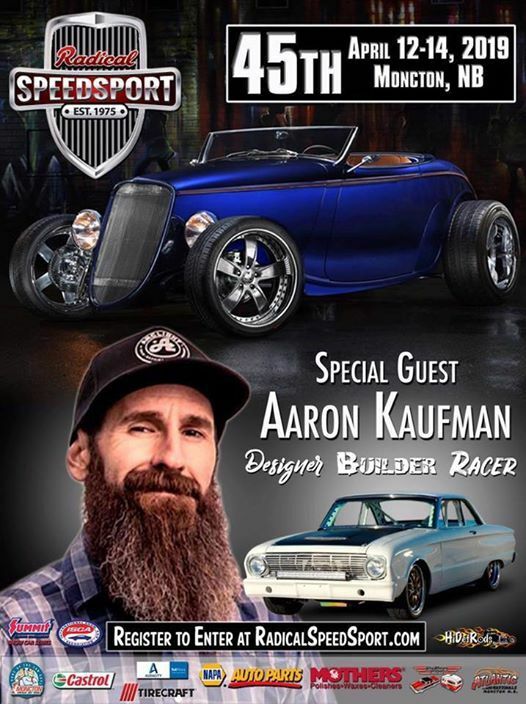 For his first car show appearance in Canada Aaron Kaufman will be at the 45th annual RADICAL SPEED SPORT On Sat & Sun April 13th and 14th 2019.
" 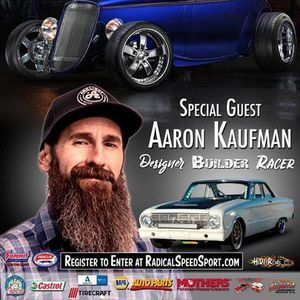 Canada's Greatest Custom Car & Hot Rod Show since 1975 ." Sanctioned by the International Show Car Association and part of the Summit Show Car Series . 10th Annual / 10ème annuelle Hike4Hospice!